Track photographer Jerry D, part of the Jim McCue photography team, is surrounded by a schoolgirl tour at Pimlico. 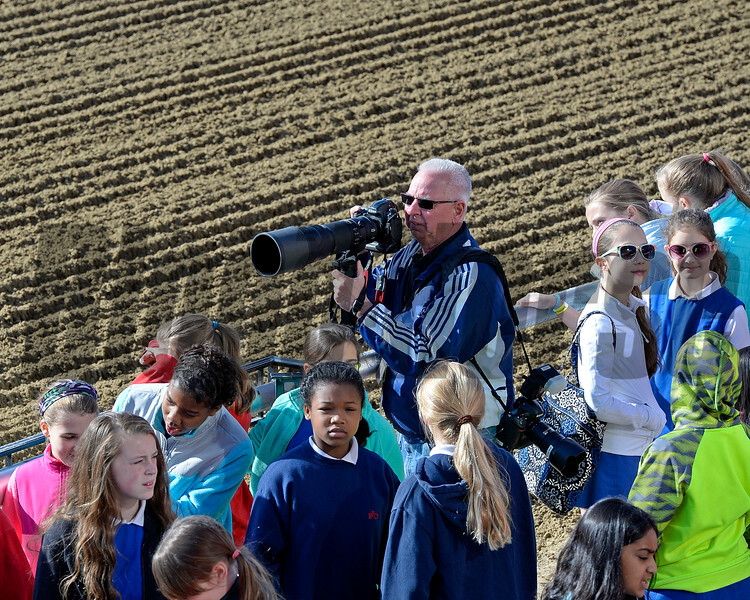 Caption: Track photographer Jerry D, part of the Jim McCue photography team, is surrounded by a schoolgirl tour at Pimlico. Girls cheered as American Pharoah went by.